Mark Koenig managed business valuation and litigation engagements for over nine years in a litigation support consulting firms (1996-2006) prior to forming Koenig & Associates, L.L.C. in October, 2006. Prior to 1996 he provided tax and accounting services to individual and commercial clients in areas including transportation, distribution, contracting, retail and travel. Koenig & Associates, LLC is a consulting firm dedicated exclusively to Business Valuation and Litigation Support, including Forensic Accounting. Services performed include the valuation of closely held businesses, matrimonial dispute resolution, arbitration, mediation, shareholder litigation and damage claim analysis. Through the Superior Court, Mark has acted as a fiscal agent and court appointed accountant to oversee and report back to the Court. He has valued closely held businesses for purposes of Equitable Distribution, Estate & Gift Tax and Purchase & Sale. He has testified in both Civil and Family Court in Bergen, Essex and Morris Counties as well as Westchester County New York Superior Court and Federal Bankruptcy Court, New Jersey. 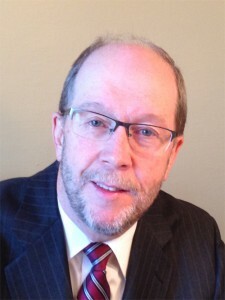 He has served as guest lecturer at Rutgers Law School on Forensic Accounting and spoken on business valuation and forensic accounting topics to audiences which include the New Jersey Society of Certified Public Accountants and the New Jersey Chapter of the National Association of Certified Valuation Analysts. 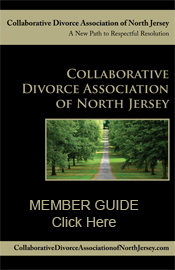 He has also been a guest seminar panelist before the Bergen County Family Bar Section and North Jersey Inns of Court, Matrimonial Section and published in the New Jersey Law Journal. Mark graduated from Lehigh University School of Business and Economics, Bethlehem, PA – Bachelor of Science, Accounting. He is a member of the American Institute of Certified Public Accountants, New Jersey Society of Certified Public Accountants and National Association of Certified Valuation Analysts. He has served on the NJ CPA Society’s Business Valuation Subcommittee and is a Former Member of the Course Review Committee of the National Association of Certified Valuation Analysts. Within the community, Mark currently serves as the Vice President of Visiting Homemaker Home Health Aide Service of Bergen County.